Fitzgerald is coming back for his 16th season. The Cardinals got some good news when longtime wide receiver Larry Fitzgerald committed to coming back for the 2019 season. 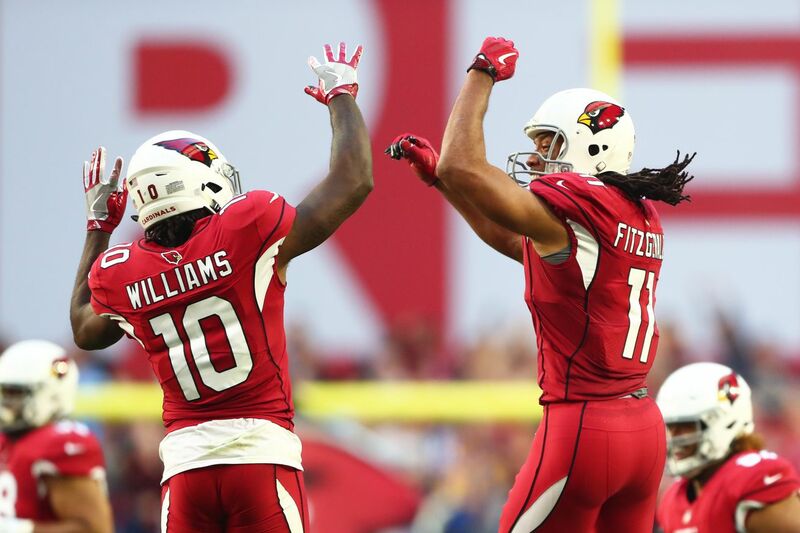 Fitzgerald has spent all 15 of his NFL seasons with the Arizona Cardinals and is now slated to play at least one more season with the team. No one is happier than his fellow Arizona teammates, especially cornerback Patrick Peterson who was extremely delighted —and surprised! — to hear the news. The LEGEND is back for another!!!!! Budda Baker and David Johnson both showed their elation on Twitter. David Johnson posted a video of Fitzgerald throwing him a touchdown pass against the Los Angeles Rams this season — the first touchdown pass of Fitzgerald’s career. And receiver Christian Kirk, fresh off this rookie season, seemed pumped to play across from Fitzgerald for another season. Rosen noted that Fitzgerald always gave great effort during practice, even when it was clear that the Cardinals’ season was lost. It’s been an eventful couple of weeks for Fitzgerald. Last week, Fitzgerald made a hole-in-one while playing golf with Barack Obama. Fitzgerald is coming off a season where he had a career low 734 yards — he’ll be looking to improve upon with the help of Kingsbury and his spread attack he’s bringing to the NFL.